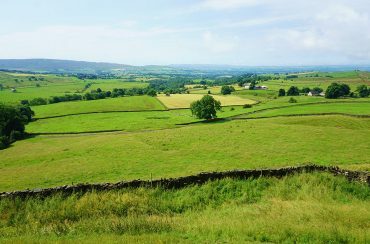 TSP Legal > News > Business Briefings > A Greener Future for the Countryside? On 12 September 2018 the Government published the Agriculture Bill 2018. The Bill sets out a way forward and provides a legislative framework for new domestic agricultural policy as the UK leaves the Common Agricultural Policy (CAP) as part of Brexit on 29 March 2019. The Bill will now progress through parliament and will be debated by MPs in the first instance on 10 October. According to the Department for the Environment, Food and Rural Affairs (DEFRA) the legislation will deliver a cleaner and healthier environment for future generations after almost 50 years of EU rules. The bill sets out how farmers and land managers will in future be paid for “public goods” such as better air and water quality, improved soil health, higher animal welfare standards, public access to the countryside and measures to reduce flooding. Environment Secretary Michael Gove said “The introduction of the Agriculture Bill is an historic moment as we leave the EU and move towards a brighter future for farming. After nearly 50 years of being tied to burdensome and outdated EU rules we have the opportunity to deliver a Green Brexit. This Bill will allow us to reward farmers who protect the environment, leaving the countryside in a cleaner, greener and healthier state for future generations. Critically, we will also provide the smooth and gradual transition that farmers and land managers need to plan ahead.” (The full text of the DEFRA press release can be read here). But what, in reality, does this mean for our farmers and landowners? Direct Payments: The direct payments which are currently paid under the Basic Payment Scheme (BPS) as part of the CAP will be paid in 2019 as normal and in much the same way in 2020 too, although with some simplification if possible. Transition period: There will be a seven year transition period from 2021 during which time those currently in receipt of direct payments will be supported as these payments are phased out and the new domestic arrangements are put in place. However, all farmers are likely to see some reduction in their payments at the start of the transition period. This period of transition is intended to allow the government and farmers to work together to design and develop the new Environmental Land Management System that will replace the CAP. Environmental Land Management System: It is intended that payments will be delinked from the current requirement to farm the land, which should allow farmers more flexibility to plan for the future, and those farmers who provide the greatest environmental benefits as part of the new Environmental Land Management System will receive the greatest rewards. The Bill will also introduce measures to increase productivity and investment in research and development along with strengthening the supply chain to help farmers get a better deal in the market place. The Bill has, for the most part, been welcomed, in particular the seven year transition period, although commentators highlight the fact that there is still a lot of detail that needs to be developed, indeed environmental campaigners have criticised the current lack of detail regarding how the “public goods” will be incentivised and managed. The CLA President, Tim Breitmeyer said “We are pleased the Government has recognised the need for a UK-wide framework for post-Brexit agricultural and environmental policy and that Westminster and the Welsh Government are committed to working together to achieve this.” You can read more of what the CLA President has to say about the Agriculture Bill 2018 here. Thompson Smith and Puxon Wills and Estates team leader Fiona Ashworth, whose family farms in the south of Essex, said “It is inevitable that changes are going to happen, but hopefully it will lead to a stronger, brighter future for farmers, who will end up back in control of their land, their business and how they plan for the future through succession planning”. TSP is a member of the CLA and the Agriculture team is committed to supporting the business of the countryside.